Ruth Tross will join Bookouture from Hodder in May, where she will take up the role of publishing director, heading up the editorial team which currently reports into Bord. Tross started her publishing career at Sceptre. In 2011 she launched the Mulholland crime list at Hodder & Stoughton and in 2017 became Hodder's crime and thriller publisher. 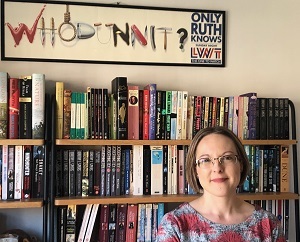 She has worked on international bestsellers Jeffery Deaver and Yrsa Sigurdardottir, Sunday Times bestsellers and Richard & Judy picks Sabine Durrant and Erin Kelly, digital hits Sarah Alderson and David Mark, and classics including Leslie Charteris and Dorothy L Sayers. In her new role, Tross will report to publisher Jenny Geras who said: "I am over the moon to have Ruth joining us at Bookouture. Her reputation in the industry is rightly outstanding – combining list management and team leadership with a track record of publishing both physical and digital bestsellers. I know she will do a brilliant job of leading the team here, and in growing her own list." Tross (pictured) said: "I will miss Hodder immensely – I started as an editorial assistant there, and everything I know I’ve learnt from my wonderful authors and colleagues along the way. But there are always new things to discover and I am very excited to be joining an innovative and impressive company that publishes very differently, at a key moment in its expansion." Claire Bord meanwhile will new role at Bookouture from May, focusing on new areas of publishing for the company – including commissioning the first non-fiction titles for the list. Oliver Rhodes, ceo of Bookouture, said: "Having played a fundamentally important role in growing Bookouture from a small start-up to one of the leading digital publishers, Claire has a brilliant insight into what it takes to establish a new digitally focused list. As we look to diversify our publishing, I find it really exciting that Claire will have the opportunity to do this again – operating in an entrepreneurial role where I know she will add enormous value." Bord: "I will always be a passionate fiction editor and to be able to complement that with my love of non-fiction is an amazing opportunity. 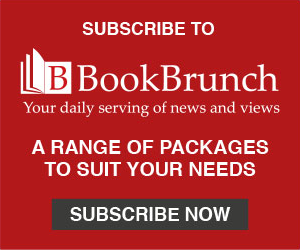 I can’t wait to build on the phenomenal success we’ve achieved at Bookouture by branching out into an area of the market we don’t currently occupy, and expanding our readership even further."